A complete packaged system for use with IBC and mobile tankers. 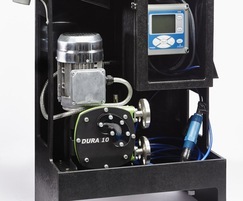 The IBC mini systems allow for quick plug and play solutions for the dosing of more viscous and abrasive chemicals such as liquid lime suspension. 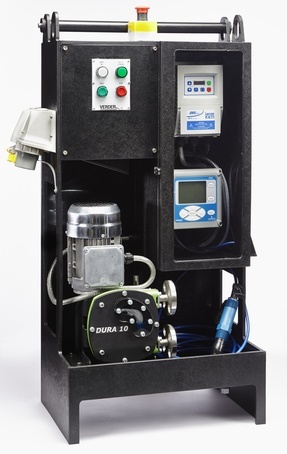 Dosing can be performed with or without the pH probe supplied as standard and can be operated in manual, variable (4-20ma) or pH/redox mode.